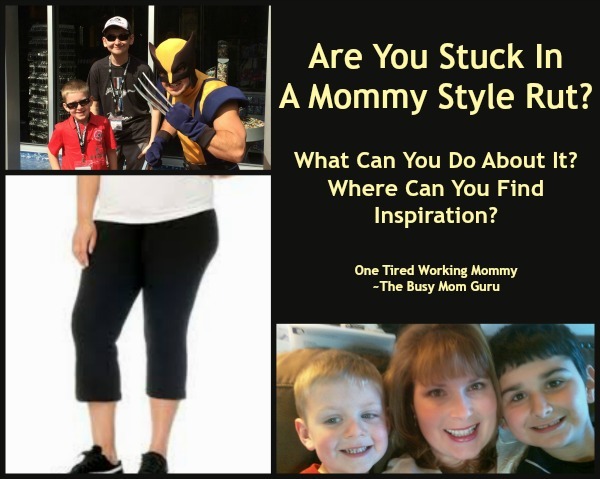 Are You Stuck in a Mommy Style Rut? I distinctly remember having a conversation with my friend Suzie back in September about how I felt like Tina the person didn’t seem to exist anymore, only Tina the mom, Tina the cook, Tina the maid, Tina the teacher. I love my family, I love doing things for my family, I even love being a teacher, but somewhere there had to be more, there had to be something to look forward to, something just for me. I thought I was speaking selfishly until she nodded her head up and down and said she knew exactly what I was talking about, which made me feel better since I wasn’t sure I knew exactly what I was talking about. I knew I was feeling something but it was hard to put it into words. Was it my hormones? Was it a mid-life crisis? Was I just depressed? 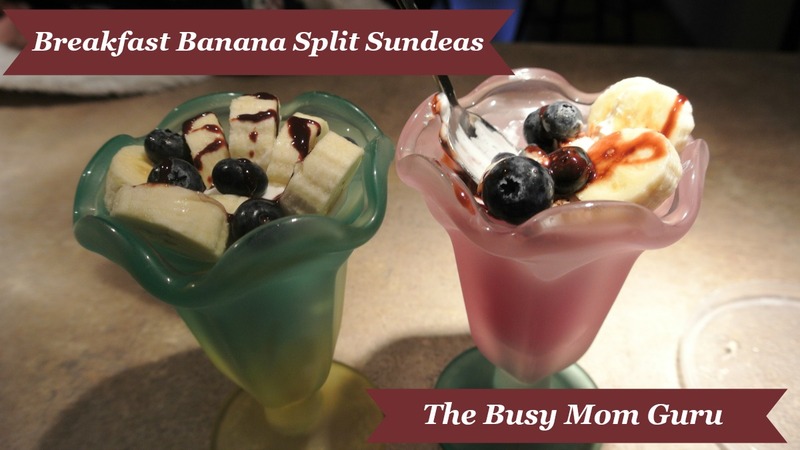 Was I stuck in a mommy rut? So, for the past few months I have been on a mission to reclaim me. Initially it started with something as simple as buying myself some Boxycharm and Fabfitfun subscription boxes to try out new products and spoil myself a little. Then it led to getting my bottom layers cut off of my hair so I could start to grow it long like it used to be. Next came subscribing to a few new magazines that were about restoring and finding yourself again. One day in mid-November I was searching for spoilers on Google for the December Boxycharm box when up popped a link to YouTube videos with people unboxing their boxes. I couldn’t wait to see what I was going to get in my next box so I clicked the link. This one little action opened up the world of YouTubers to me. Initially I was just watching unboxing videos and seeing if there were any other subscriptions I might want to join. Then, I saw a video for recreating a smoky eye, or a review of the best concealers at the drugstore. In the months that have followed since I have discovered several awesome YouTubers that I actually look forward to watching. Most of these women are in their mid-twenties, which oddly I like, because they are still excited with life. Remember your twenties? Back when you went out to eat several times a week. Back when your “baby” had four legs and fur. Back when you didn’t feel the need to justify the expense of buying new clothes or shoes or paying for a night out at the movies. Back when you could pack a bag on a moment’s notice and go out of town for a three day weekend. I have tried watching several mom vloggers on YouTube and honestly, I just don’t enjoy them as much. They post vids on healthy meals, grocery shopping hauls, buying organic, school issues, and I find these videos are just too close to my real life. I like the escapism that comes from watching a vlog on YouTube. The videos are usually 5-15 minutes long, which I can usually watch on my iPhone while folding a basket of laundry or putting my make-up on in the morning. Plus, you wouldn’t think that someone in their 40’s would be inspired or learn something from someone in their 20’s but I really have. I have become much more adventurous with make-up, a lot more knowledgeable, tried new products I had never heard of, and this month when I went shopping for a new summer wardrobe to take to Florida I bought items I wouldn’t usually buy, but I did buy them and I love them. Here is a list of some great YouTube Beauty Channels you might want to check out. None of them are endorsing this post. I have never contacted any of them, but I eagerly await their new videos. 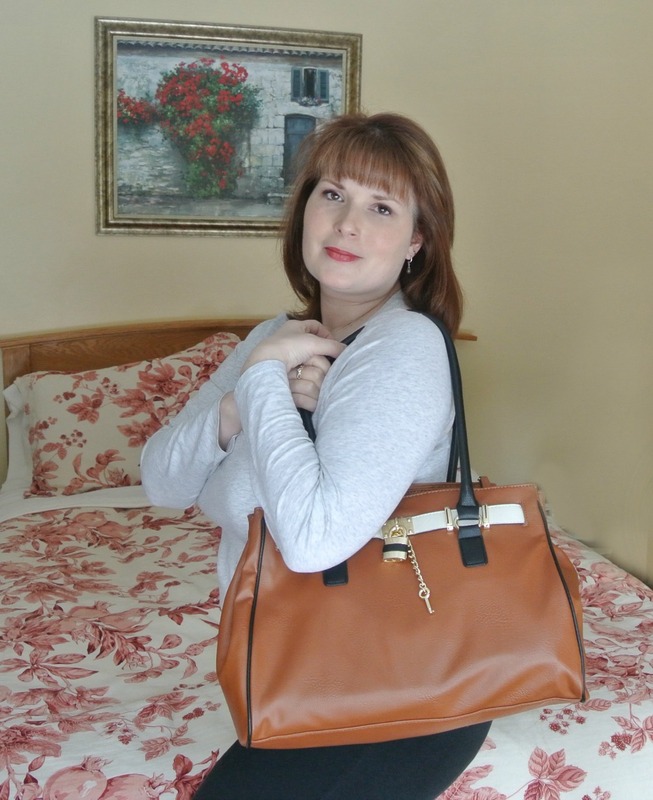 Many of these ladies have a secondary vlog on YouTube as well showing their personal life, their favorite shops, their fur babies, and more, which you can connect to from the pages I posted above. Also, many of them are British or living in England which also helps me to vicariously fill a life long dream of mine. Anyway, check them out and let me know if you liked any of them! 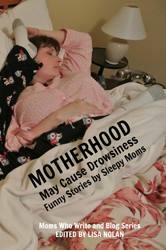 Also, if you enjoyed reading this post please click the blinking banner below to vote for my blog at Top Mommy Blogs!! Intro~ I am not a scientist or a doctor. 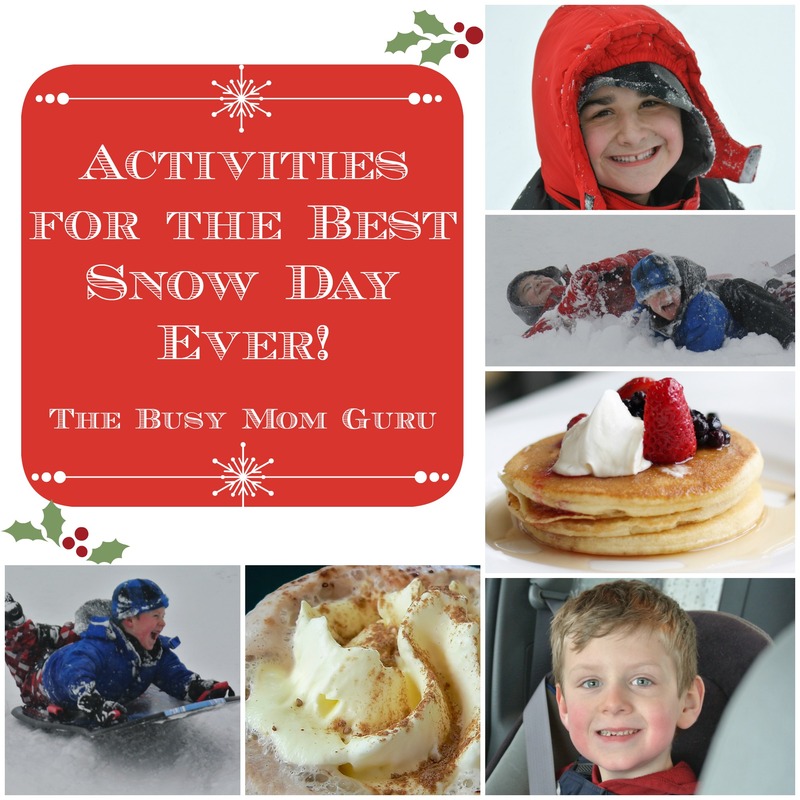 I am a mom of 14 years and person who has been educating children for 24 years. I worry about my children as well as my students. I want their futures to be filled with endless possibilities and good health. I have observed greater health challenges to my students over the years in increasing numbers. I have spent a great deal of time researching the environment and what is surrounding our children. I wanted to get real facts, not pseudo science or jump on band wagon trends that are meaningless. I also learned that the more I learned the more I needed to learn as information is constantly changing and updating. I am not an expert, but I have some knowledge that I really want to share because I want all children to be safe and healthy. 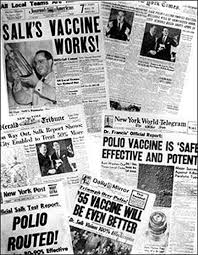 In the 1950’s Jonas Salk was a hero. His vaccine changed the lives of people around the world. 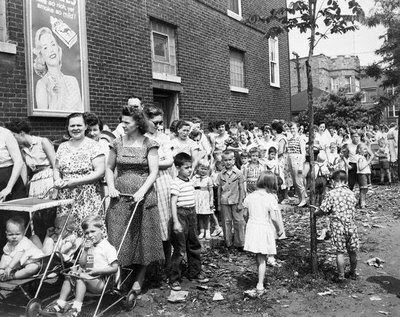 Huge crowds of people all over the US wait in lines to protect their children from the ravages of polio. Similar scenes played out over the course of history as different vaccines became available and people were desperate to protect their children. In October of 2009 I was one of many parents standing in a line that lasted four hours to get the H1N1 vaccine shots for my children and for myself since I have a compromised immune system. Just a few nights before I had sat in front of the news and cried as they showed the beautiful faces of perfectly healthy children, who had been fine one minute and then fighting for their lives just a few hours later, before finally succumbing to the deadly flu virus. One little face had haunted me the most, a little blond hair boy with bright blue eyes, who reminded me of my own sweet little boy who was only two at the time. But even H1N1 at the end of the day didn’t turn out to be big pandemic that people were expecting. So again people blamed the CDC and WHO of being the little boy who cried wolf. Still, in just 2009 there were 274,304 hospitalizations from H1N1 and 12,469 deaths attributed to the virus. That number might not seem that impressive to you, unless your loved one was on the list. But back to my original argument, vaccines don’t cause autism. A simple statement of truth is that vaccines have been around for generations. Autism was first identified in 1943, and it was extremely rare, only eleven confirmed cases at the time. 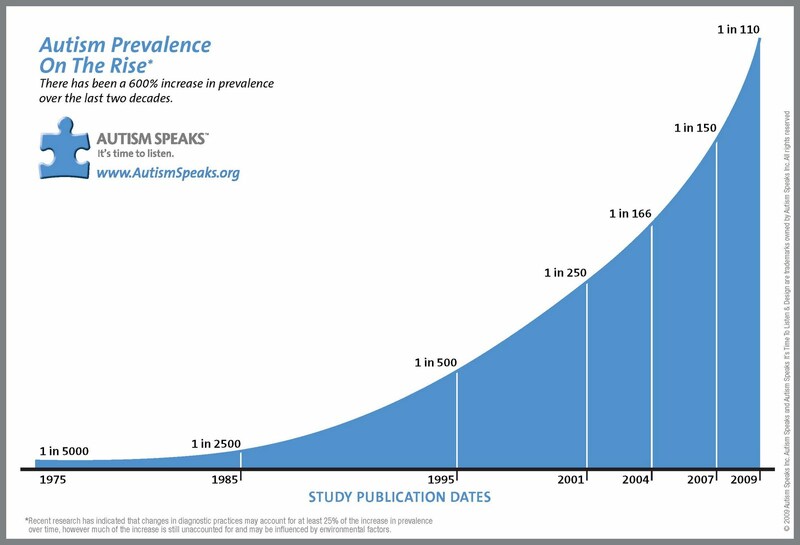 If you look at the history of how long people have been getting their shots and consider those numbers globally, and then look at the history of the number of people affected by autism, the numbers just don’t add up. Autism is a condition that has come to the national forefront only in the last two decades. As a young teacher in the early 90’s I had never heard of autism, but I was very familiar with Down syndrome, Aspersers, fetal alcohol syndrome, and other cognitive impairments. In 1993, however, autism was unknown to me and my fellow teachers, yet every person I knew in 1993 had been vaccinated, as well as the children who attended my public elementary school. If they weren’t vaccinated they were excluded from school until they returned with proof of their shots. In the past 25 years something has happened to our environment that has caused the number of cases of documented autism to skyrocket. Part of that may be better and earlier diagnosing of the condition, but that alone can’t explain why the numbers are now staggeringly high. What has changed in the past two to three decades that has the power to reach everyone in this country, young and old, rich and poor, urban, suburban, and rural? If you really stop to look at it, the biggest change to happen to the US and other first and second world countries is chemicals. In 1976, President Ford signed into law the Toxic Substances Control Act, or TSCA. At the time there were fewer than 62,000 registered chemicals in the US and the country was fresh off the DDT scare. The law was passed to protect people from existing chemicals and regulate the safety of future ones. To say the law failed is an understatement. Lobbyists and Chemical companies spend millions to find every loop hole and to make sure those loop holes don’t get closed. Today there are 84,000 registered chemicals in the products we use. 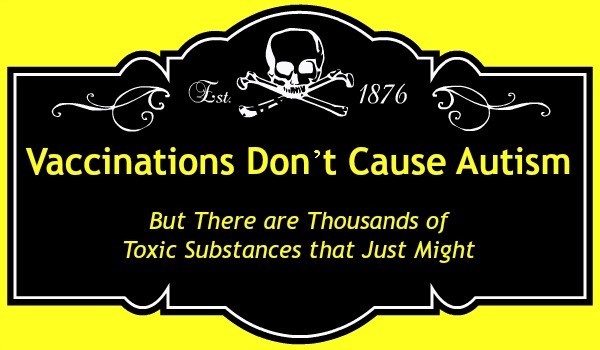 Do you know how many chemicals the US has banned? In all this time it has only banned 11. Australia and the European Union have banned more than 1,100 in just personal care products alone. The US doesn’t require testing to be done on chemicals. If a certain product does make people sick the FDA can’t demand a recall, only suggest one, and the EPA has no recall power at all. These are the agencies that are in charge of keeping us safe! Agencies with essentially no real power at all. Many of the products that are around today have little in common to the original formulas that came out decades ago. 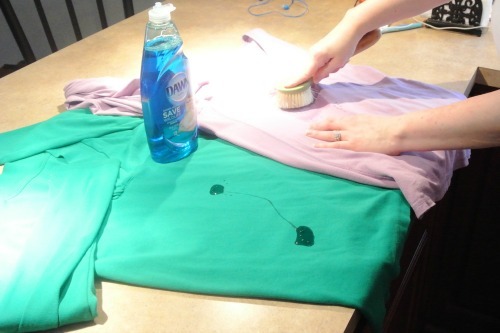 Detergents, shampoos, fabric softeners, and cleaning products that have been around for generations are all different. Every time a product comes out with the claim, “Cleans even better,” or “New and Improved” what it really means is they just added new chemicals to the product. 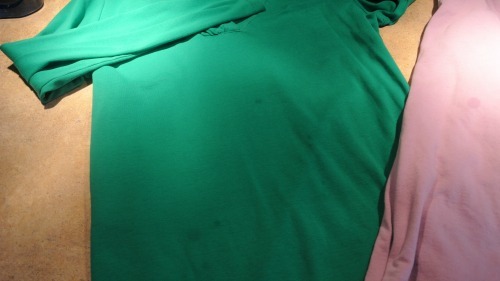 Do the clothes look brighter? Yes. Is my floor shinier? Yes. Is my hair softer? Yes. Is my body wash creamier? Yes, but what is the cost to our health, to our reproductive systems, to our hormones, and most importantly to our children? As adults we come into contact with toxic substances every day, but our body mass helps to protect us. Think of medication. All meds are based on body weight, this is why you have adult and child sized doses. But a child takes the same bubble bath that an adult takes. A child uses the same amount of shampoo, the same amount of sunscreen. Children are actually exposed to greater amounts of cleaners because they spend so much time playing on the floor and on surfaces that adults don’t use. Not only are these chemicals in our cleansers and hygiene products but they are in our food. We have all heard about how you can’t buy rainbow colored crackers in Europe, and that soda is made using cane sugar, and use of GMO crops has been limited thus far. 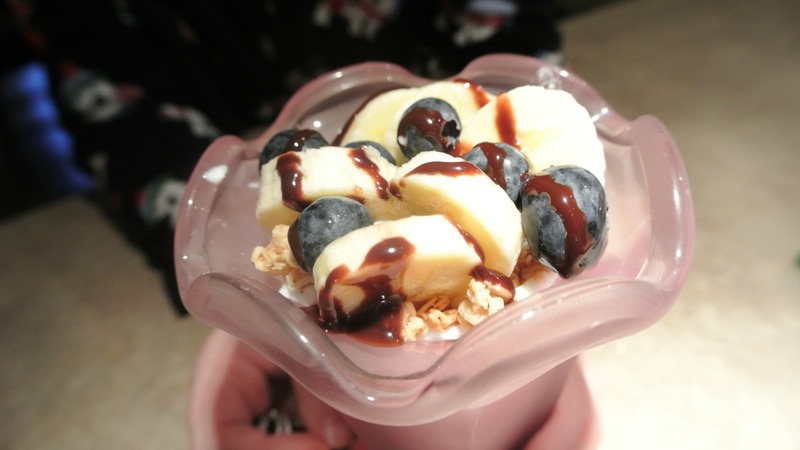 I have heard more than one person grumble about how products are better in Europe and if companies can make healthier versions of their food for over there, why can’t they do it here? That is a great question. If crackers can be colored using natural ingredients in the UK, why can’t the same natural ingredients be used in America. 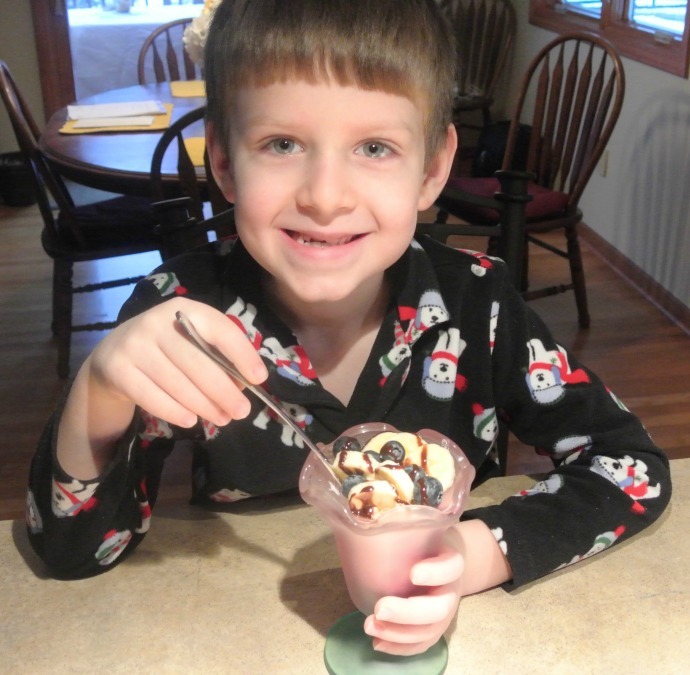 Why does American yogurt get colored using Red #5 and Blue #2 but British yogurt remain in its natural uncolored state? Personally I view it as an insult to American children that food, especially processed snack foods, must always be made into primary colors. Children in Europe just might be benefitting from their countries stricter chemical laws. According to the Washington Time’s, autism rates in Europe have reached a plateau. Studies from 2010 have shown that the rates of new cases of autism in Europe have remained the same as 2004, where as the US rates of new cases of autism in that same time span have continued to grow. The study does not focus on chemicals as the cause of autism, but then again, it is nearly impossible to find a study on chemicals and autism because the sheer numbers of chemicals is overwhelming. People are exposed to so many chemicals it is impossible to study a single chemical and its affects in isolation, which is essential to having concrete results. 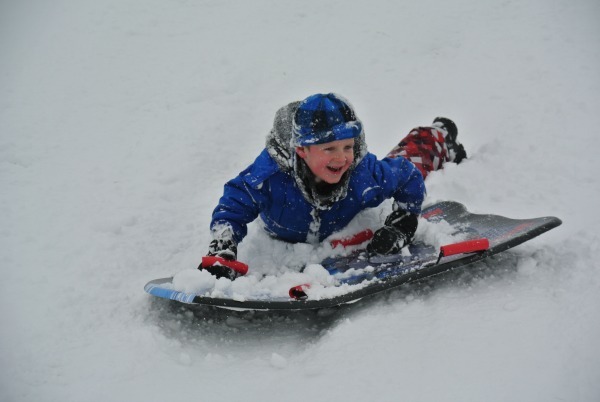 So what is a parent supposed to do? How do we protect our children from 84,000 registered chemicals? The truth is you can’t do anything about the world beyond your front door. Even if people ban together and start to demand change from the government it will still be years and years before change is reflected in the environment surrounding us. The only change you do have control over is what happens inside your own home and how you choose to spend your money. Nothing changes the way a company behaves faster than the spending patterns of the American consumer. When it comes to food, buy as much organic and non-GMO as you can afford too. Once upon a time you could only do this at Whole Foods, but today Kroger, Costco, Meijer, and even Target have lines of organic foods available for a lot less than what it costs at Whole Foods. I’m not knocking Whole Foods, they were the front runner in the organic industry and we owe them a debt of gratitude, but the truth is you average person really can’t afford to shop there. Also, always buy hormone free diary products and as much hormone free meat as you can afford to. 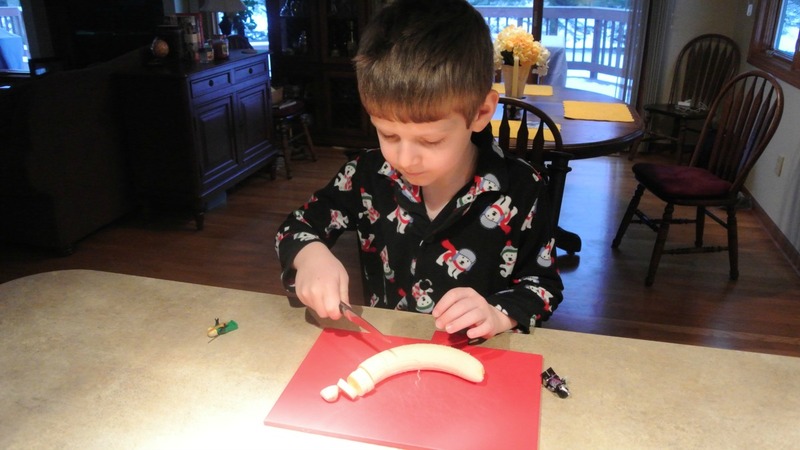 Children’s bodies are entering puberty earlier than ever before because milk, cheese, and meats are loaded with growth hormones to make the animals produce more milk and meat. 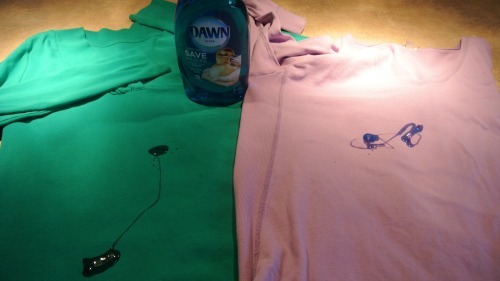 This is an example of chemicals being used where we can actually see the visible results right in front of us. 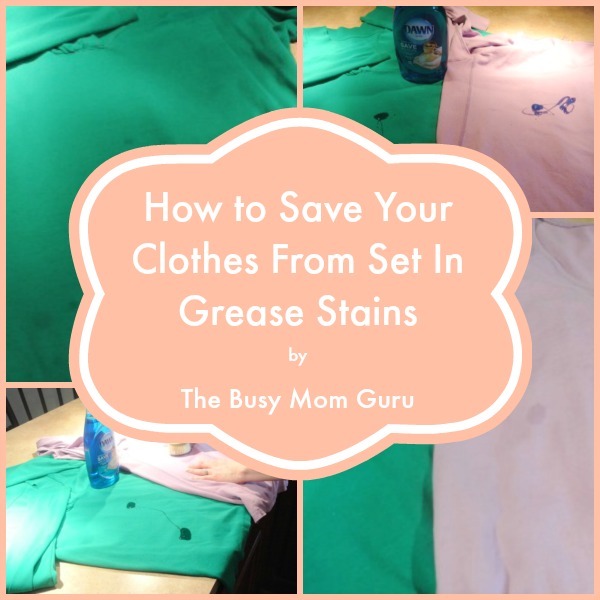 When it comes to cleaning stick with plant based cleaners as much as possible. Many great companies are out there working hard to produce amazing products that work and keep us safe. 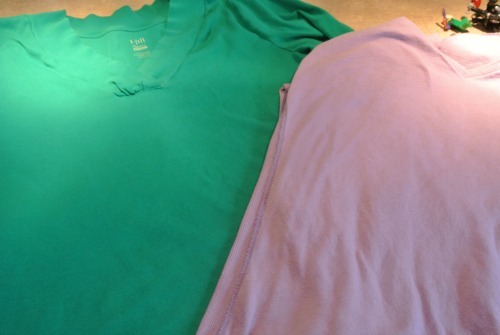 For laundry care, search out detergents that are formaldehyde and 1,4-dioxane free. Also, only purchase products that are fragrance free or scented with essential oils. In personal care products avoid: SLS (sodium lauryl sulfate), parabens, pthalates, fragrance, dyes, sodium chlorides, formaldehyde, MEA (monoethanolamine), DEA (diethanolamine), and TEA (triethanolamine) and fragrance. There are many studies you can Google to show a correlation between these chemicals and endocrine illnesses, hormonal imbalances, and reproductive complications as well as others. After reading all of this some of you may be feeling overwhelmed and clueless where to start and what to do next. Below you will find links to websites to help you get started in the next direction, as well as companies I find to be trustworthy. I hope you find this information useful but more importantly I hope you don’t just take my word for it. Purchase the books listed above or click on the many references I cited below and find out for yourself. If you have more to add please share it in the comments. If you are too busy to do your own research but want to have a safer environment in your home then check out the websites I listed. Most of these products are sold in stores as well as online. Many can be purchased at Target and I personally buy my Ecos laundry detergent and Honest Shampoo and Body Wash at Costco for much cheaper than what they sell it for elsewhere. Most of our vacations are car trips. We go on several car trips a year. With all that traveling I have gotten very good at packing but this time we are flying and I can’t lie, it was a bit of a challenge to down size to just the essentials, yet still have the things I like. For some reason that I can’t explain, though, I love packing. Maybe it is the promise of a new adventure, but I look forward too packing and spend weeks making lists. 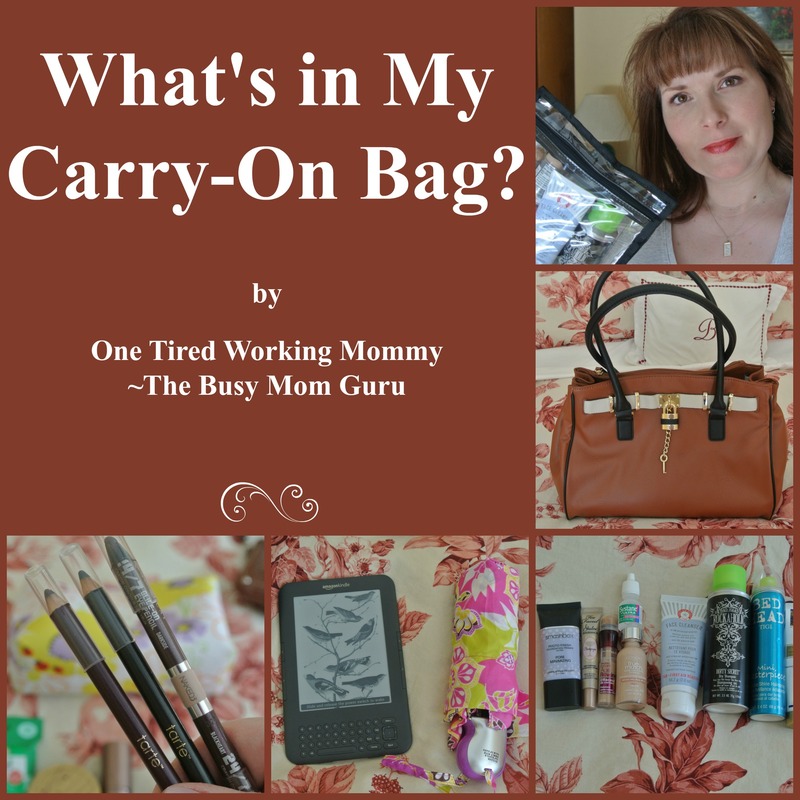 This post will cover the contents of my carry-on. It is important to note that this is my carry-on and I am only putting my things in it. 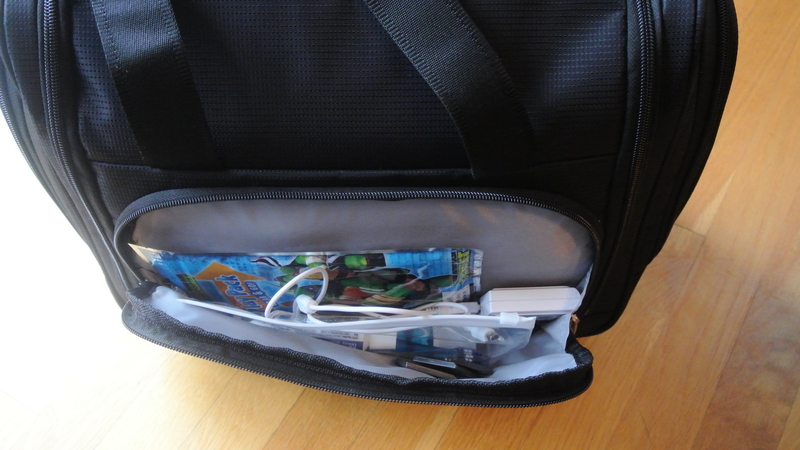 Both boys will have their own carry-ons that holds their electronics, toys, wet wipes, and etc. The first thing I did was find a great bag. I found this big boy on a clearance rack at Kohl’s. 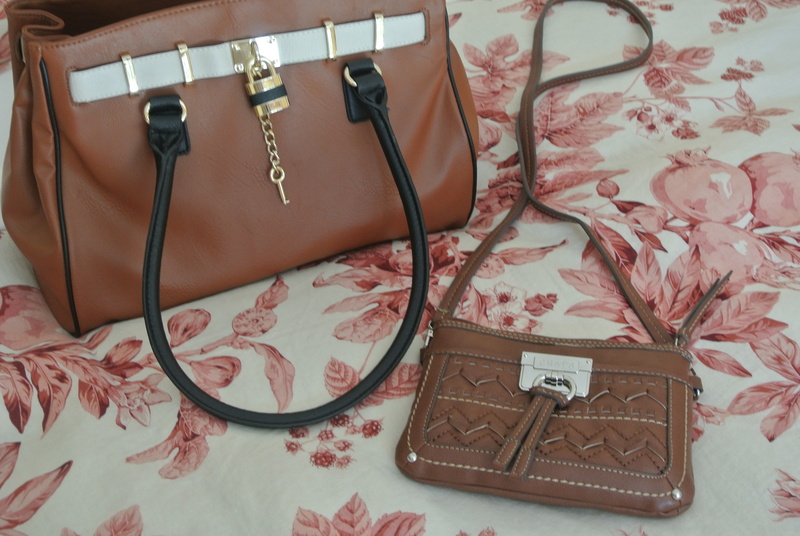 After I found my carry-on I also selected a tiny cross body bag. Every time we go on vacation I make the mistake of taking a large purse. 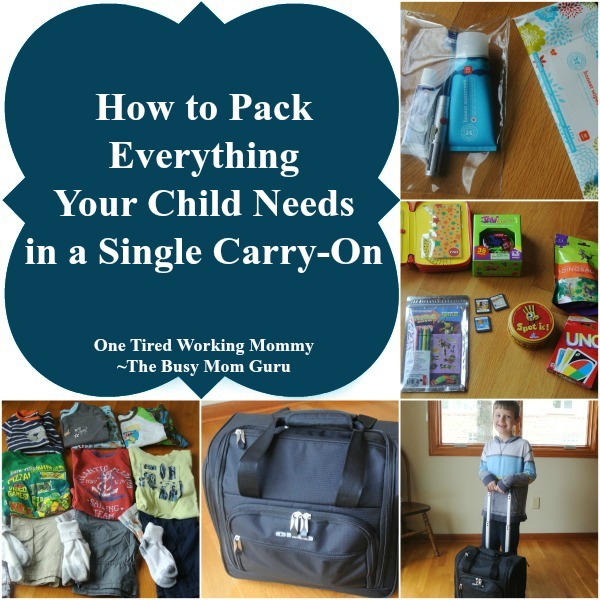 On the one hand it seems very practical to do so, but what ends up happening is both boys and even Bill end up asking me to put everything in my purse. The next thing I know I am lugging 20 pounds on my back while everyone else is walking around burden free. I have decided that I am going to enjoy being at Universal Studios as much as everyone else. This little cross body is big enough to hold my iPhone, the room key card, some cash, and an ID. 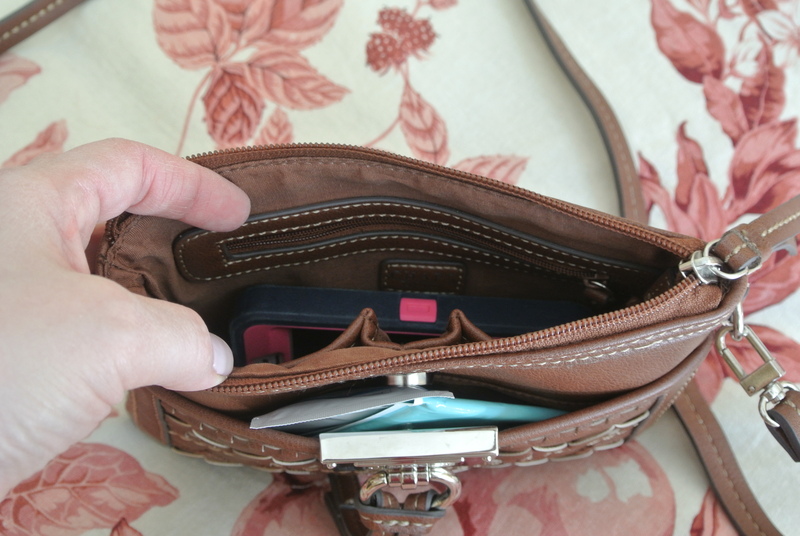 In the side pocket I slipped some deodorant wipes, tissues, and hand wipes. That is all I plan to carry around the park. Bill will have to carry his own camera, Casey will have to carry his own bottle of water, and AJ will have to tie his North Face fleece he refuses to leave behind around his waist! The next thing in my carry-on is my quart sized bag of liquids. I actually purchased this one from the travel department in Target instead of using a Ziploc bag. It is a little more durable than the Ziploc and I like the fact that I can wash it out and reuse it in the future. 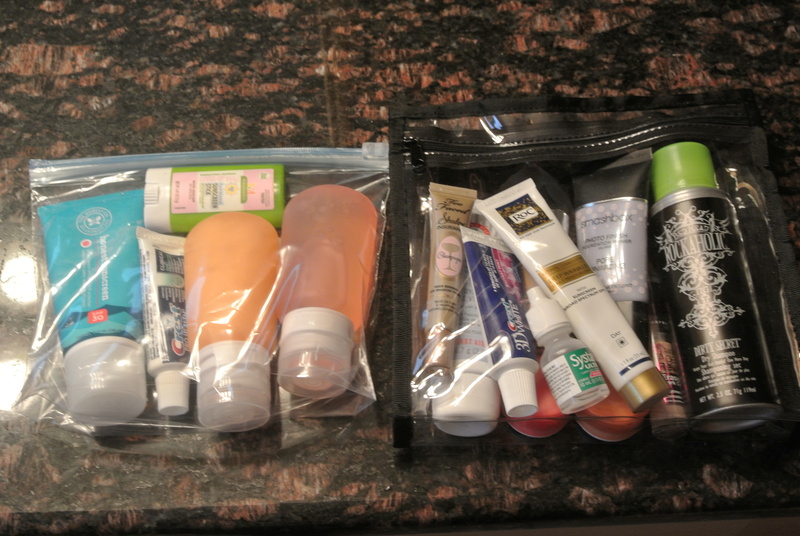 I watched several YouTube videos to make sure I was following the TSA rules when it came to liquids. What I learned is if it pours, squirts, or sprays, it needs to be in your quart sized bag, plus no container is allowed to be bigger than 3 ounces. 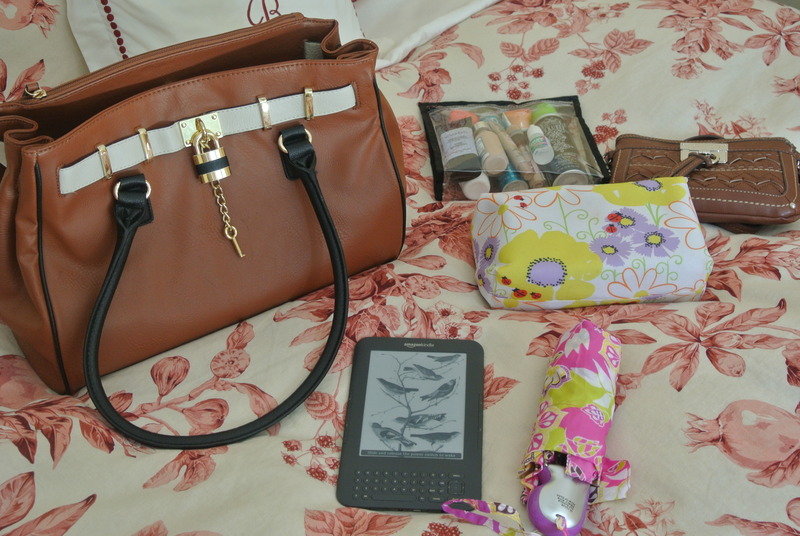 I am taking items that I can’t live without. Make-up items include Smashbox Photo Finish Primer Pore Minimizing. This product is amazing. Just a few dabs and your face looks like someone spent hours photo shopping. Next is Too Faced Shadow Insurance in Champagne. My favorite concealer is Maybelline Instant Age Rewind in light pale, and my foundation is L’Oreal True Match in classic ivory n2. 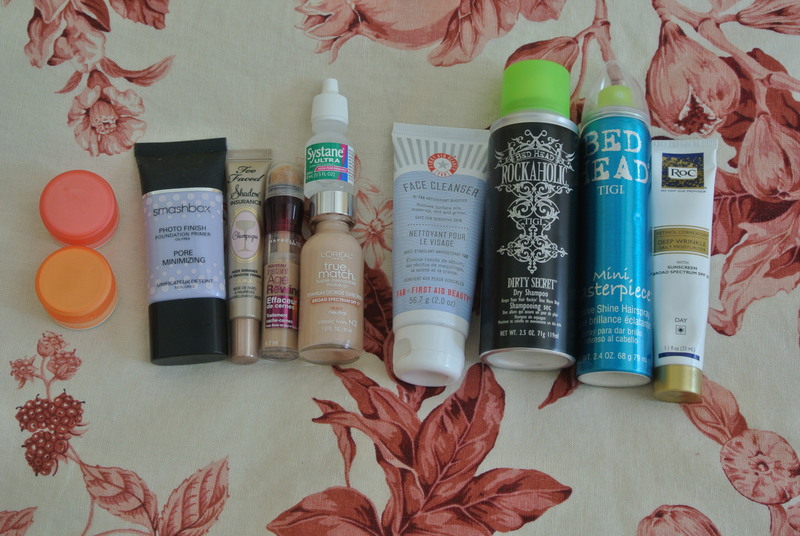 I have several skin care items. My facial cleanser is by First Aid Beauty. 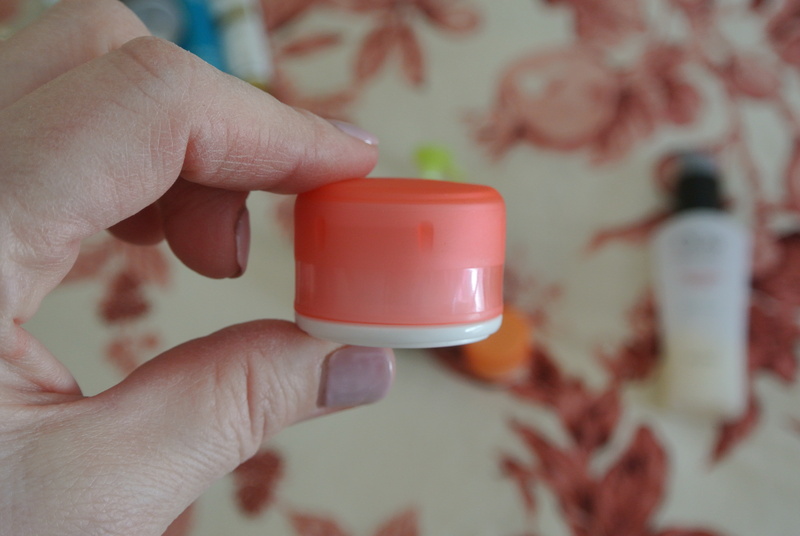 I love how this product removes everything, even eye make-up. 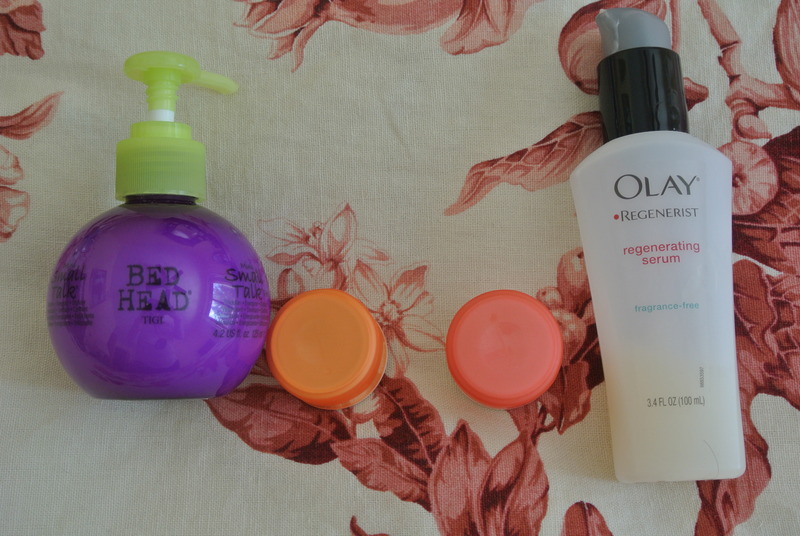 I love my Olay Regenerist Serum but the bottle was too large. I used a GoTubb to take just the amount I will need. The last skin care item is my Roc Retinol Daily Moisture with SPF 30. For hair, I have a sample sized container of Bed Head Rockaholic Dirty Secret Dry Shampoo. 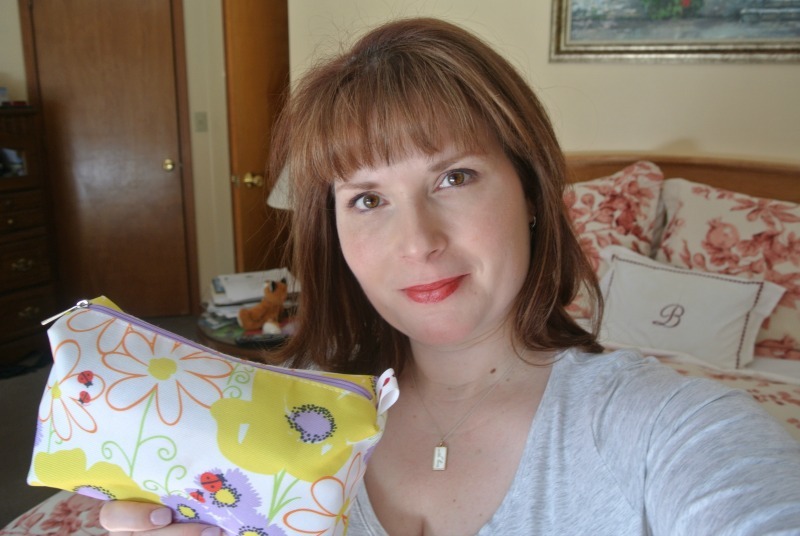 I have talked about this product several times on my blog and on Facebook. I use it daily. It gives lift and volume to clean hair and maintains your style even on three day old hair. I don’t usually use hairspray in the winter, but during the summer months a touch helps to reduce frizz. Since I am going to Florida I figured I better take it to be on the safe side. This is Bed Head’s Mini Masterpiece. In another GoTubb is a product I have been using forever, Bed Head’s Small Talk, to add thickness and hold the style. For those of you wondering where is my shampoo and conditioner, I poured large amounts into 3 ounce GoToobs and slipped them into Casey’s carry-on bag. 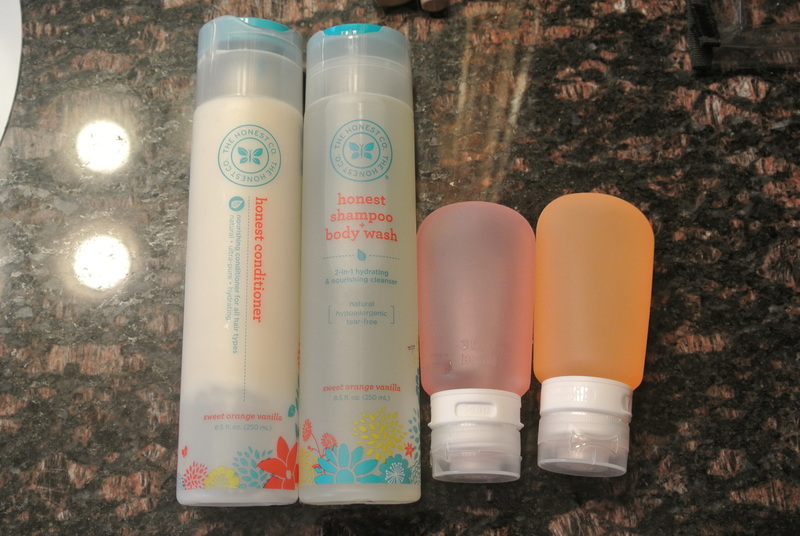 Casey and I both use Honest Shampoo and Body Wash because of sensitive skin issues, and I also use Honest Conditioner. If you are interested in purchasing GoTubbs and GoToobs I will post a link at the bottom. The last item in my liquids bag is eye drops, both my Restasis and Systane Ultra High Performance. 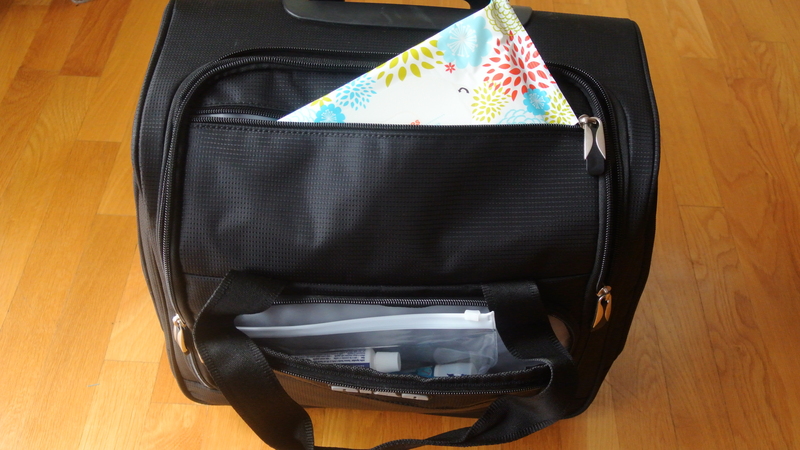 The next thing in my carry-on is my make-up bag. I was torn between two eye shadow palettes and finally decided to just being both of them. 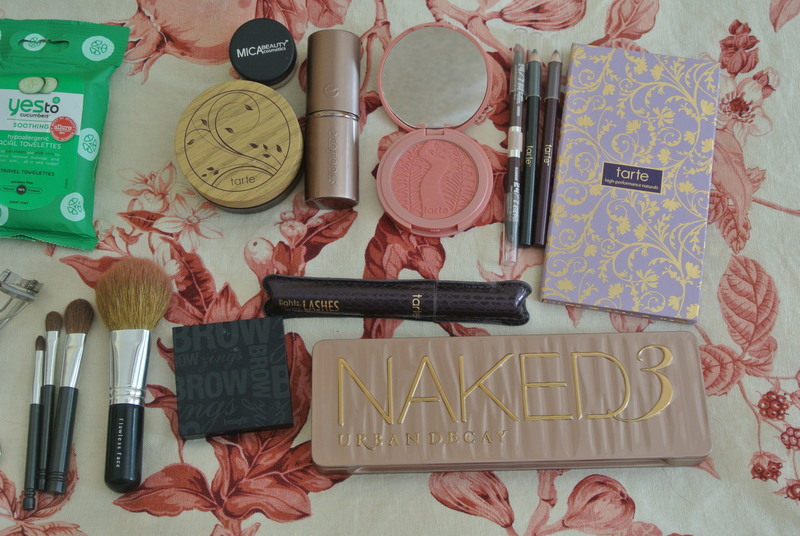 The first is my Naked 3 by Urban Decay. Not only is it a fabulous pallet but it has a great mirror in it. The second pallet is a Tarte one that came in the Sweet Indulgences collection that came out at Christmas time. Both pallets are filled with soft pinks, purples, taupes, and cinnamon shades. I was able to pick just one blush, and that is Tarte Amazonian 12 Hour Blush in the shade Pampered, which was also in the Sweet Indulgences collection. I love Tarte’s Amazonian Clay Powder in fair-light neutral. It seems to melt into your skin and just disappear. Eyeliners were another case of me not being able to make up my mind. Since this is a family fun vacation I am leaving at home all black eyeliners and liquid eye liners. Since Bill and I won’t be having a date night on this vacation it just seemed unnecessary. Instead I am taking my Urban Decay Naked 3 double sided liner in Darkside and Blackheart. 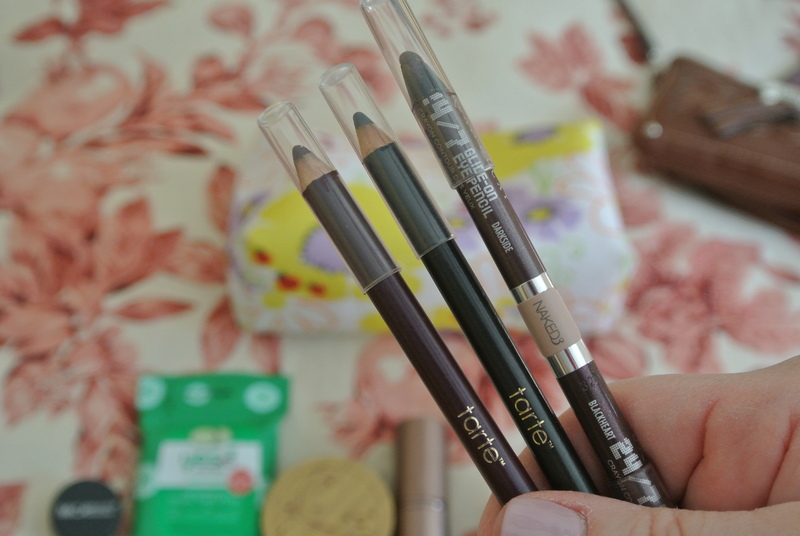 I am also taking a Tarte liner in Plum and another in Charcoal. I only needed one mascara, and that is Lights, Camera, Lashes by Tarte. I admit it, I love Tarte products. They just really work for me. Getting close to the end, the next couple of products are Benefit’s Browzings in medium, Mica Beauty Cosmetics Eye Primer, and my mini traveling brushes. 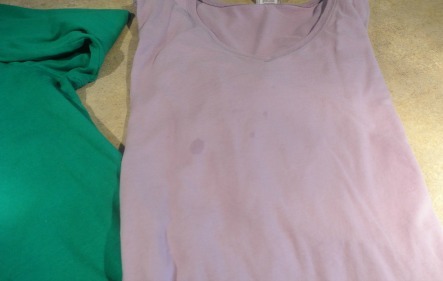 I also have a sample pack of Yes to Cucumbers facial clothes and Secret Deodorant. 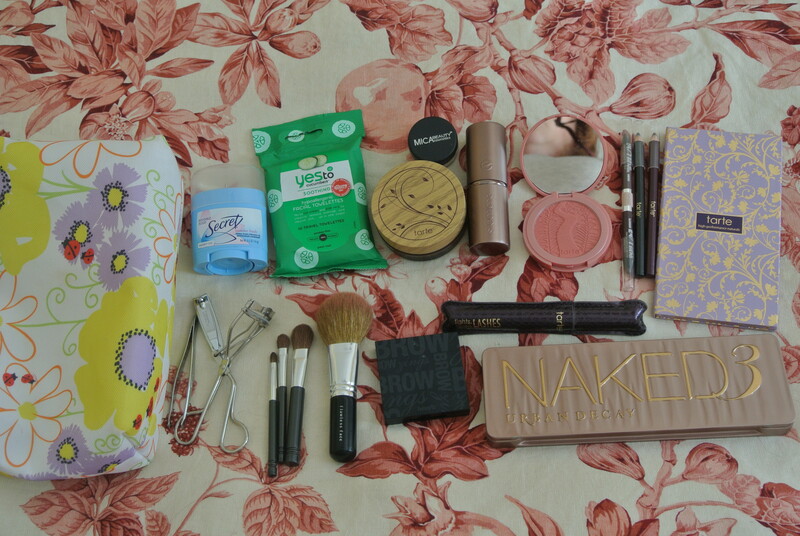 The last items in the bag are tweezers, nail clippers, and an eyelash curler. 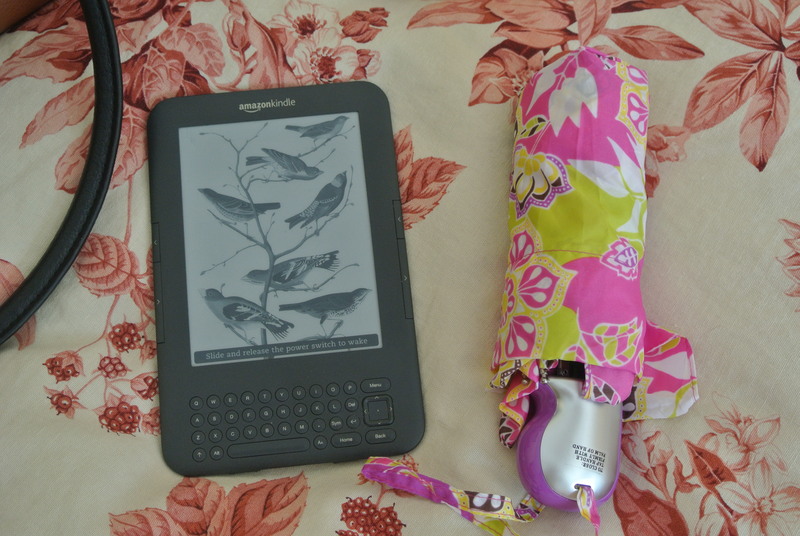 For on the plane or pool side I have my Kindle. I have downloaded several new books I am excited to read. I also have this darling little umbrella that folds up to almost nothing. I have one outfit in my carry-on. For the record my luggage has never been lost during a flight, but I have this irrational fear that it just might. 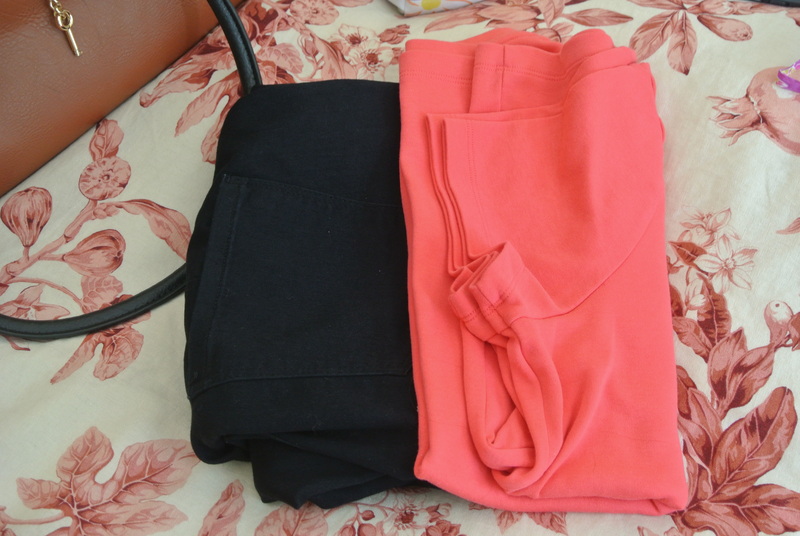 So in a worst case scenario I have a clean pair of black jeans and a fresh t-shirt to wear the next day. 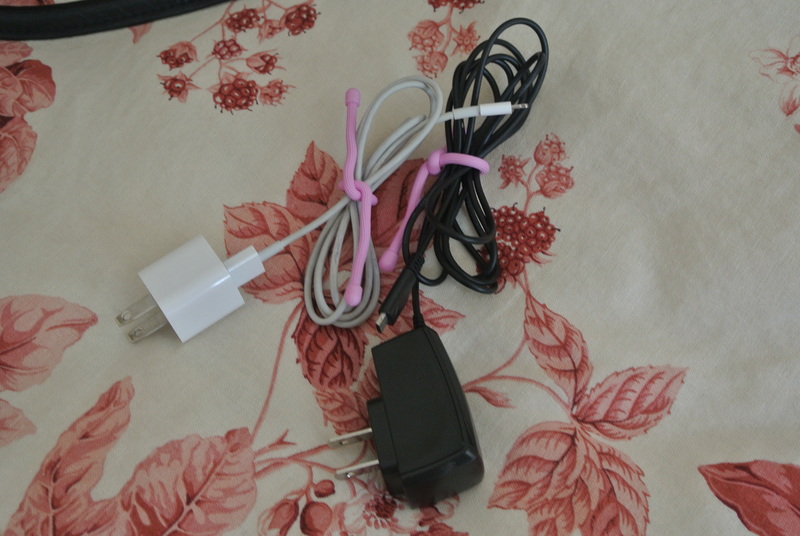 I discovered these cool bendable ties called Gear Ties that I used to wrap up my iPhone cord and my Kindle cord. I even bought Bill a set of these in navy blue for Christmas. This way we will know whose cords are whose. That’s it. I admit, its a bit heavy but I will have everything I need for a great trip! Thanks to a deep love of Duran Duran that I developed in the 7th grade, and all things Jane Austen, I am a serious Anglophile. For years I dreamed that when I grew up I was gong to run away and live the remainder of my days in merry ole England, marry Simon le Bon, and live happily ever after nibbling on tea and crumpets, attend polo matches and watch the annual regatta on the English Channel. Remember that movie Oxford Blues with Rob Lowe? To me that was living the dream. I never moved to England, Simon le Bon married a super model, but I am still very much an Anglophile. 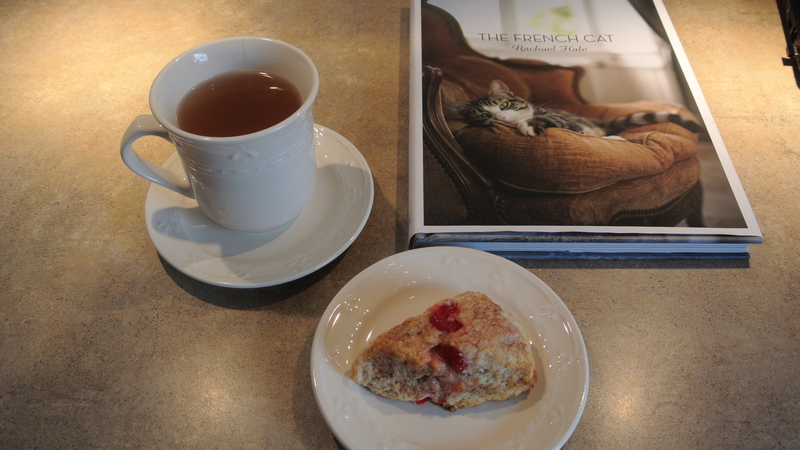 So over the years I have learned several great recipes for making scones. 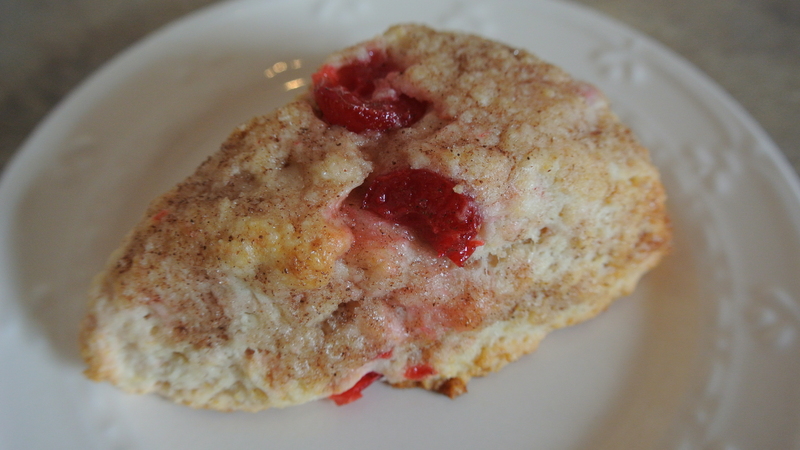 I especially love this recipe because the scones keep for days in an air tight container. 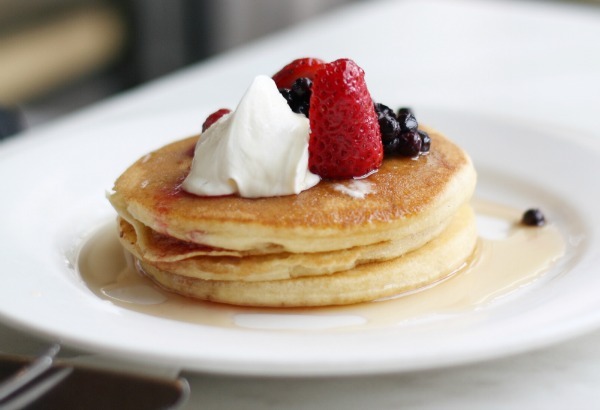 I really like to make a batch of these on Sunday and then have them for breakfast the next couple of days, or as an evening treat with a steaming cup of tea. Preheat your oven to 400 degrees. 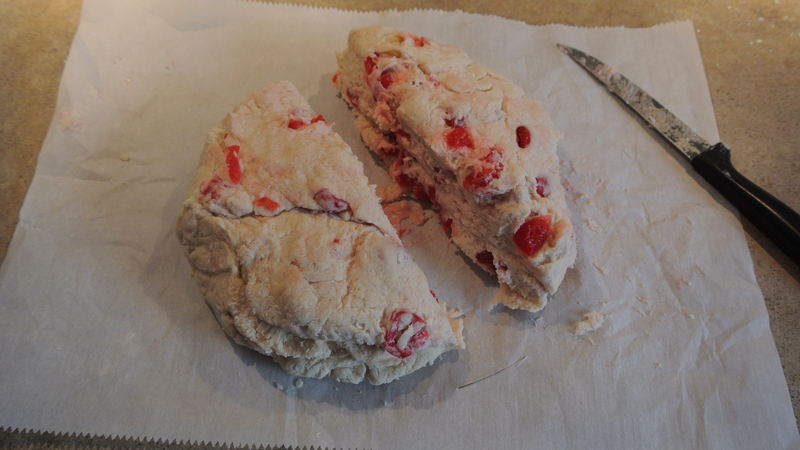 You can grease or use parchment paper to prepare two baking sheets. 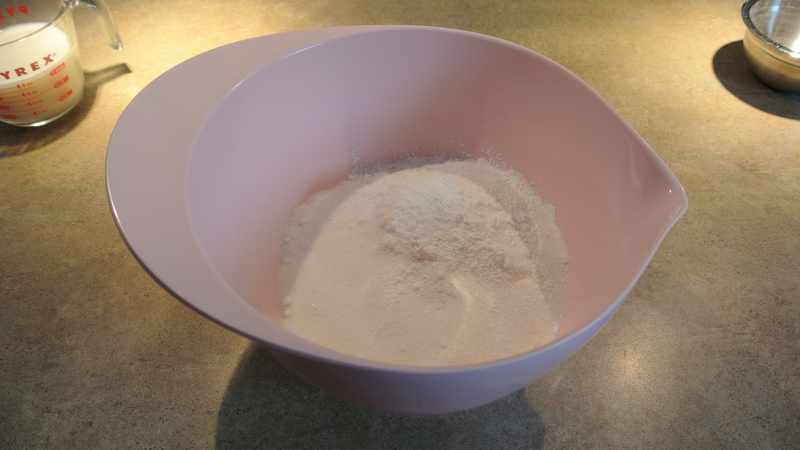 In a large bowl combine flour, sugar, baking powder, baking soda, and salt. Wisk dry ingredients to make sure they are all blended. Here is where you have several options. 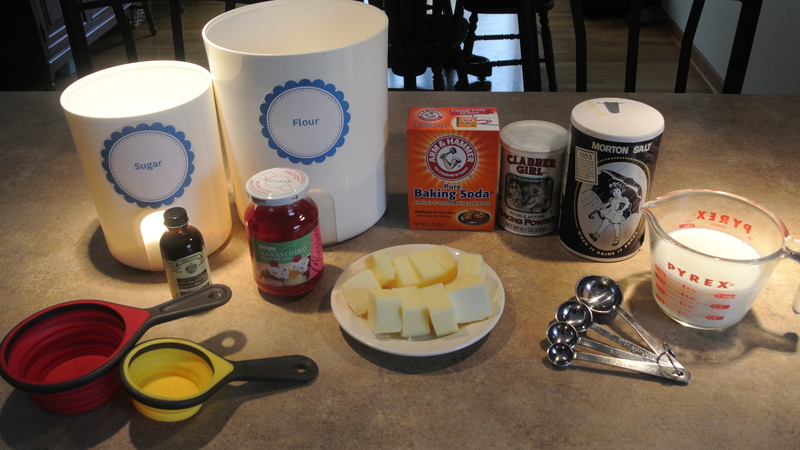 You can cut the cold butter in the old fashioned way, or using an electric mixer if you have one. I prefer to use a food processor. It is by far the fastest and easiest way to do it. Put about 2/3 of the flour mix into the processor and all the butter chunks. Pulse for about 20 seconds. Add the remaining flour and pulse again for about another 20 seconds. 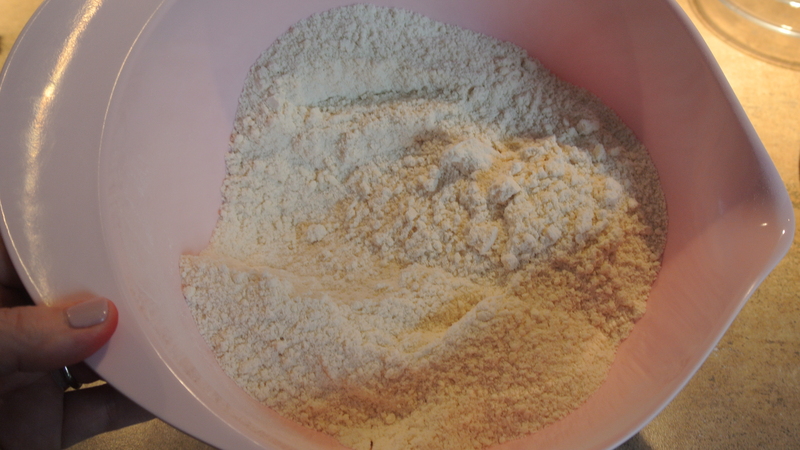 The butter will all but disappear into the flour. 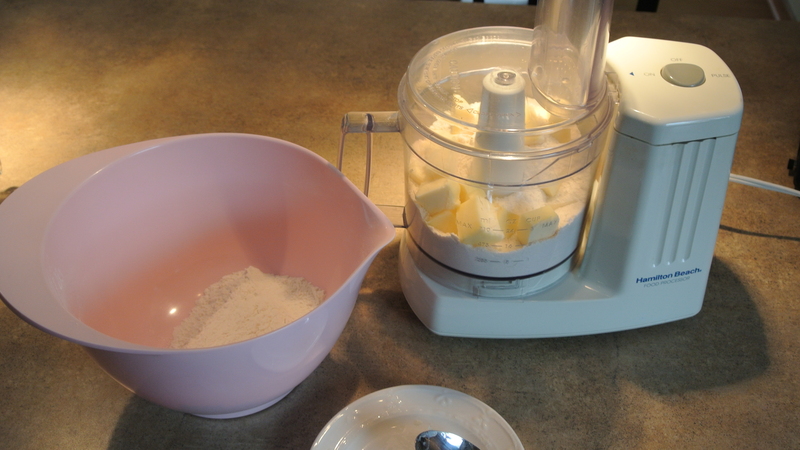 Pour all of the flour and butter mix back into your mixing bowl. 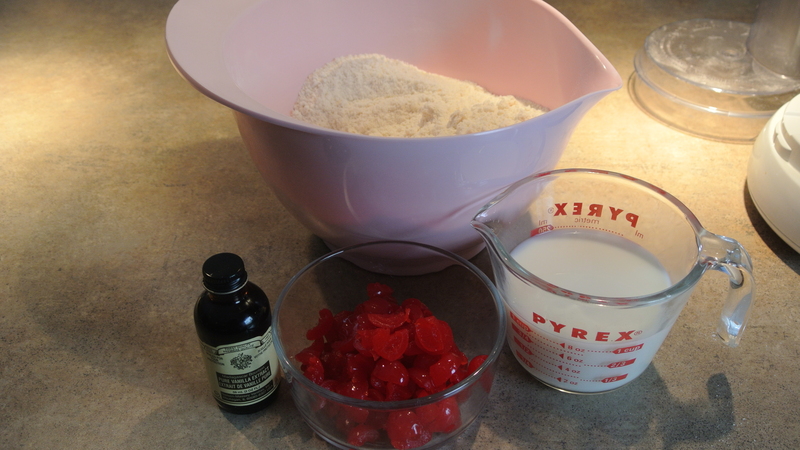 Add the milk, cherries, and vanilla to the bowl. Stir initially with a spatula but you will need to finish the dough with your hands. 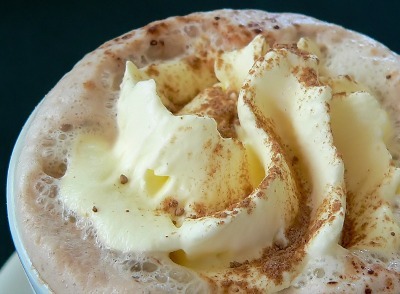 The dough is rather sticky so make sure you take your rings off! 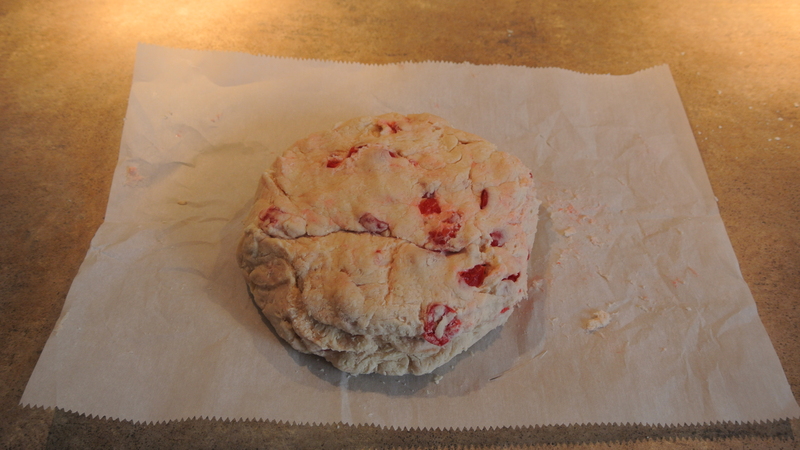 Once the dough begins to form a ball I like to dump it onto a piece of parchment paper to finish the blending. You can also use a floured surface to form the dough but be careful not to incorporate too much extra flour into the dough. 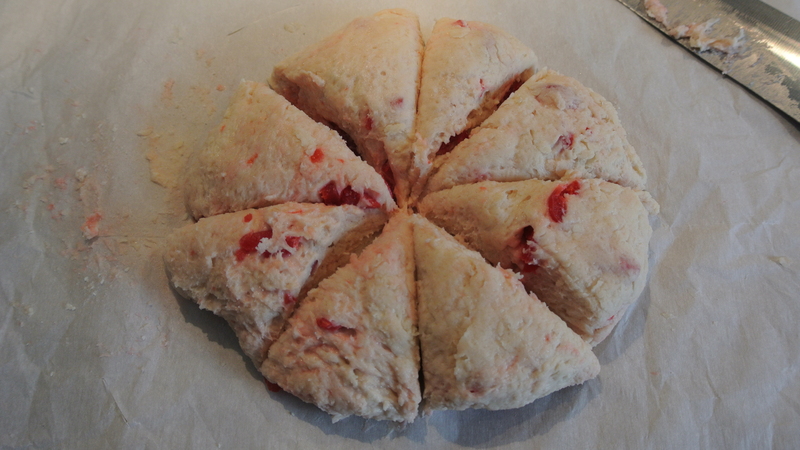 Cut the ball of dough into two halves. Then turn each half into a round pizza shape less than an inch thick. Cut each circle into 8 wedges. Transfer your wedges onto your prepared baking sheets and bake for 12-15 minutes, or until they are golden on the edges. My oven took 14 minutes to produce raised and golden scones. After the scones have cooled it is time to glaze. 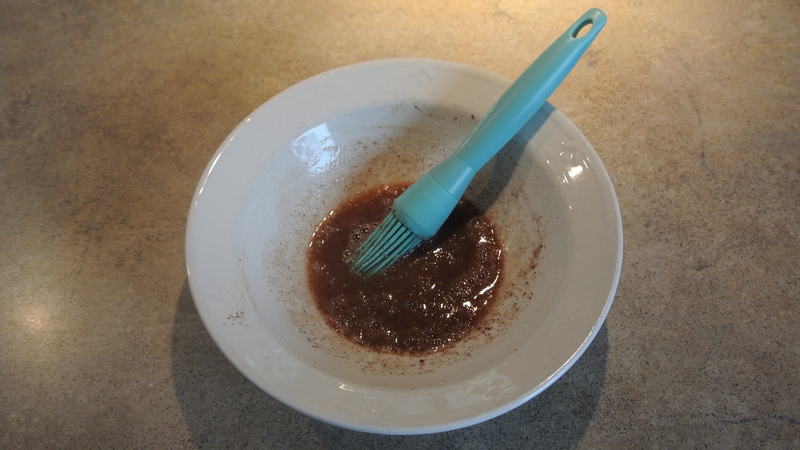 Mix the remaining milk, sugar, and cinnamon in a bowl. 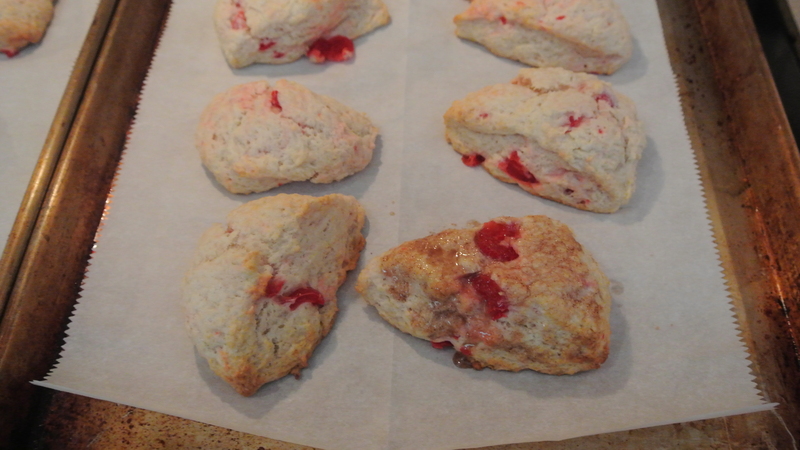 Then lightly brush the glaze over the scones. 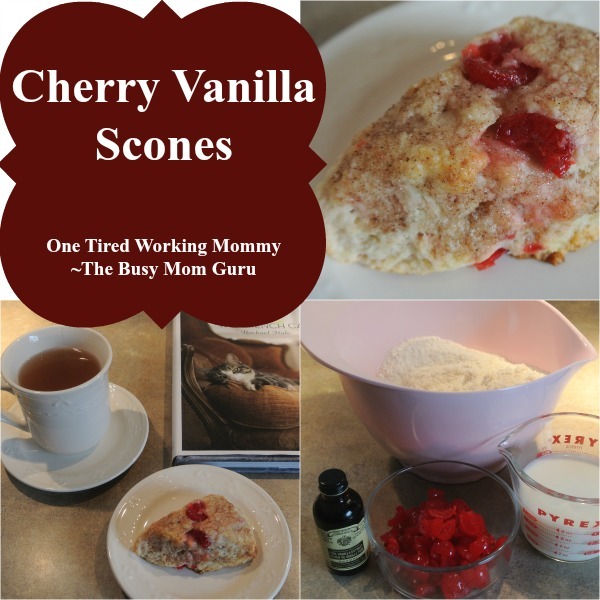 This recipe makes 16 scones in all. 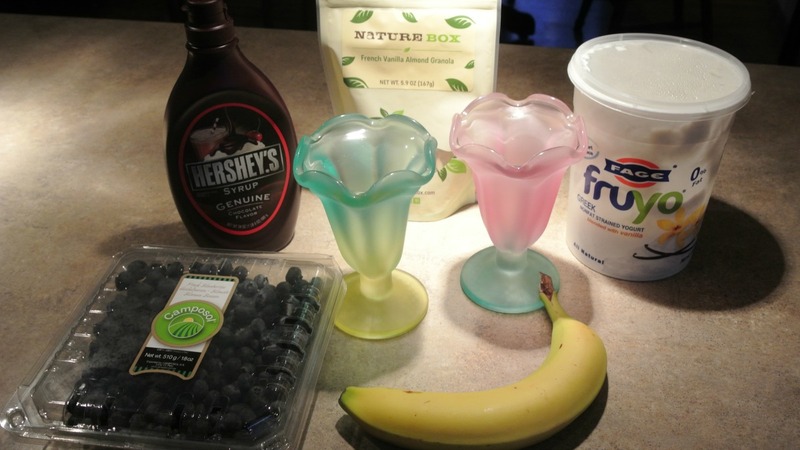 Store in an air tight container and they will last for several days. Soon my family will be taking its first trip to Universal Studios. To say we are excited is an understatement. 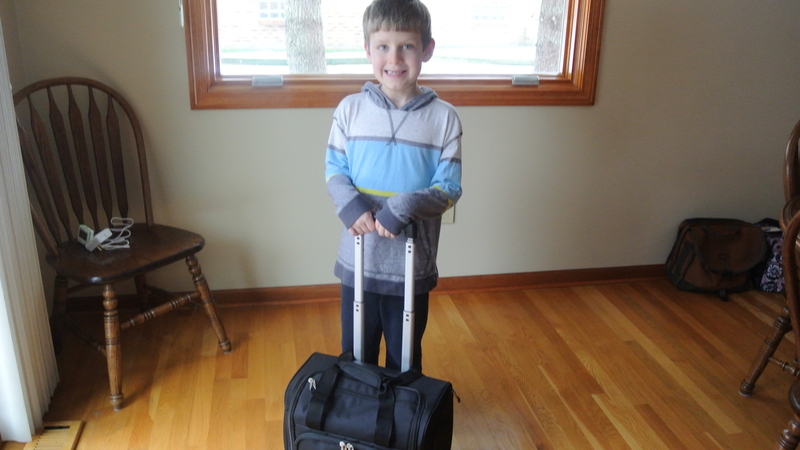 We were happy to score decent prices on our planes tickets but quickly realized that baggage fees added up really fast if we checked a suitcase for every member of the family. I quickly decided Bill and I would share one checked suitcase and use carry-ons for the rest, and the boys would use carry-ons only. Step 1 was to call the airline and find out the exact measurements of a carry-on. Delta informed us that a carry on is limited to 22”x14”x9”. Armed with my measurements I went where I always go first when I need something. I went to Costco, and they did not let me down. 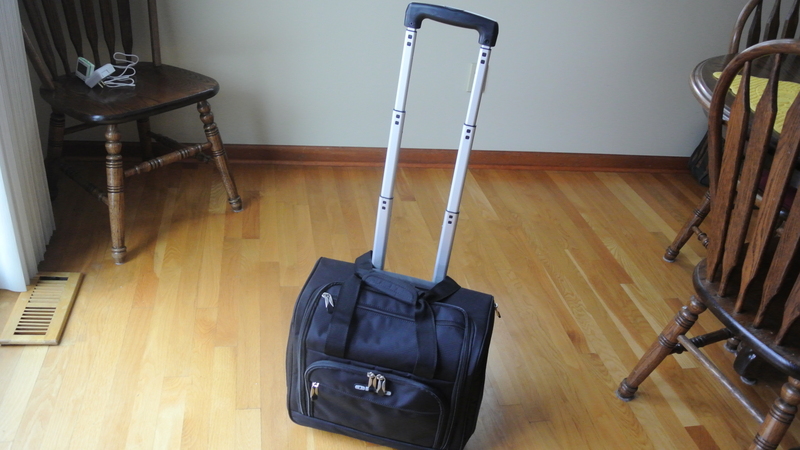 I managed to get an adorable rolling carry-on for Casey with a telescopic handle for only $29.99. Similar ones at Target were $50 and up. 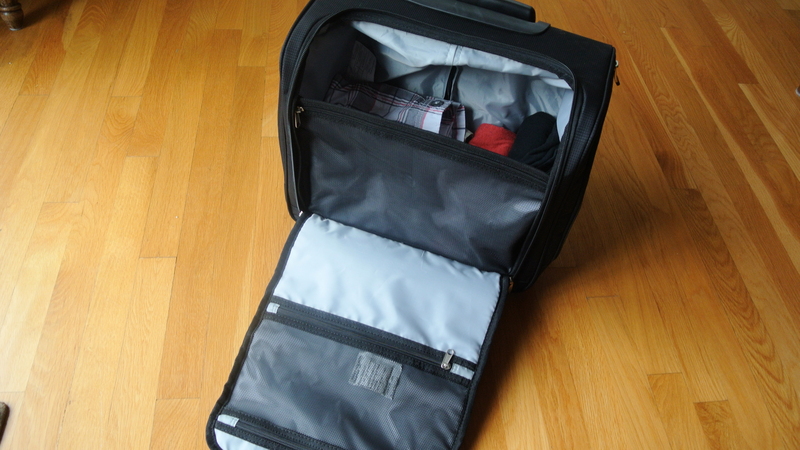 Then for AJ I purchased a rectangular carry on case that has a sleeve on the back so it will slide on to the handle of Casey’s and roll as one unit. That bag was only $24.99! 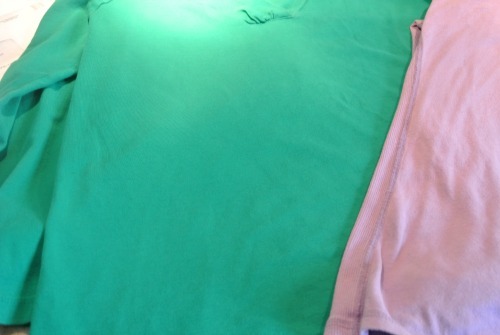 Step 2 was to assess what was left of Casey’s summer wardrobe that would still fit him for a trip to Florida. I wasn’t surprised to find that he had outgrown most of it. He has had two growth spurts in the past couple of months. Luckily for me a Kohl’s coupon arrived and it was the super spectacular 30% off. 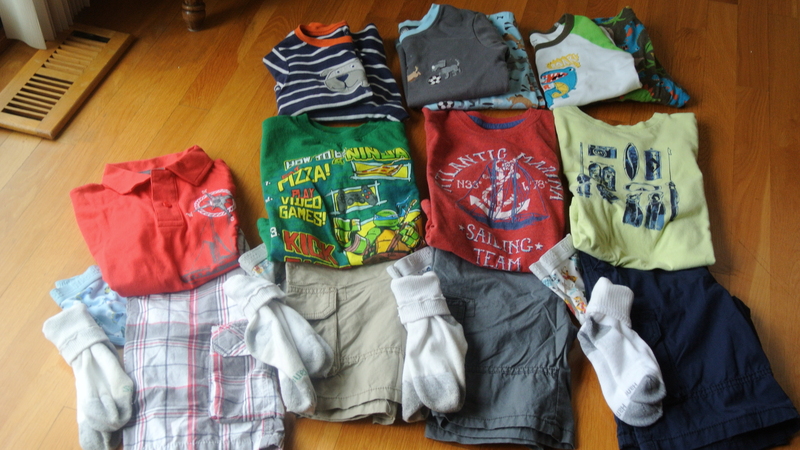 I managed to get Casey’s entire summer wardrobe in one shopping trip. Step 3 was to lay it all out on the floor so I could see it. I am a visual person, I need to see everything to be sure I haven’t missed anything. 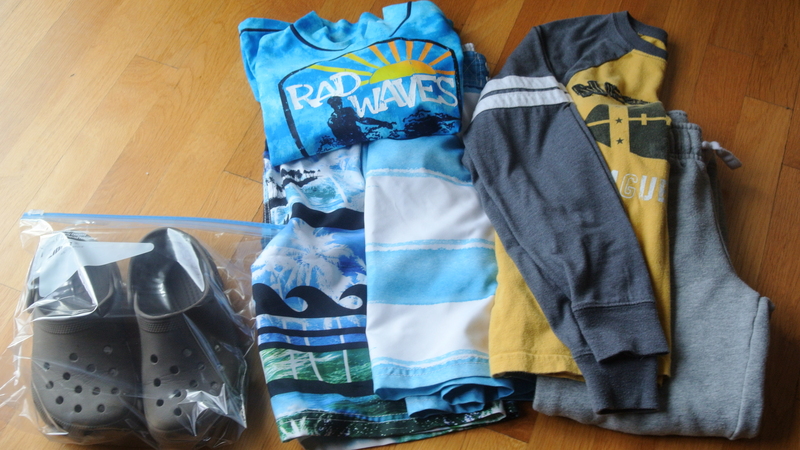 First was clothes, an outfit for each day, pajamas for each night, a coming home outfit, and swimwear. A seven year old doesn’t require much in the way of toiletries. 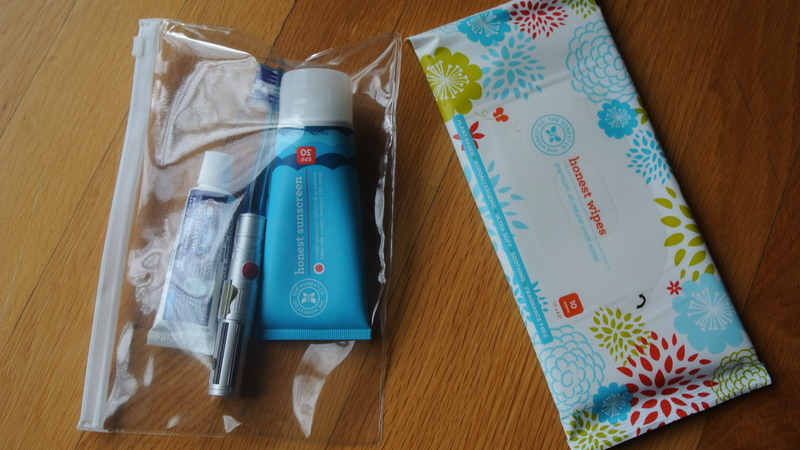 A Ziplock holds his toothbrush, toothpaste, and sunscreen. 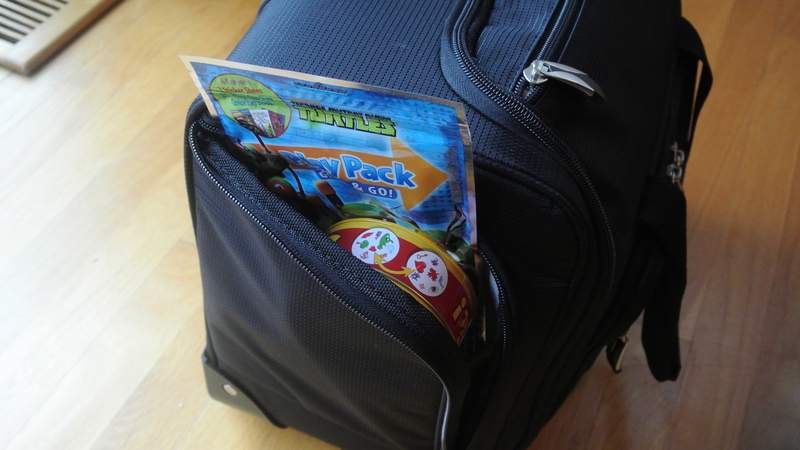 Next comes games, electronics, a small art kit and a few other fun items to make the plane trip easier and to have fun in the hotel room. 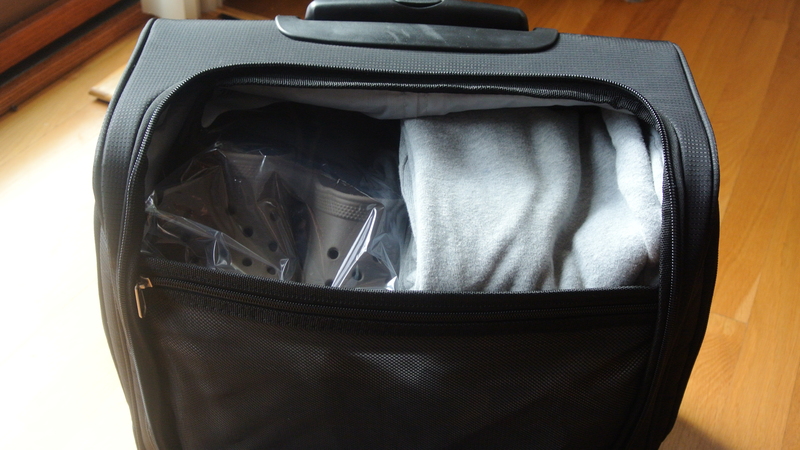 Clothes and Crocs went in the bag first. The top of the bag held a new little art kit he received as a Christmas present along with a block toy. 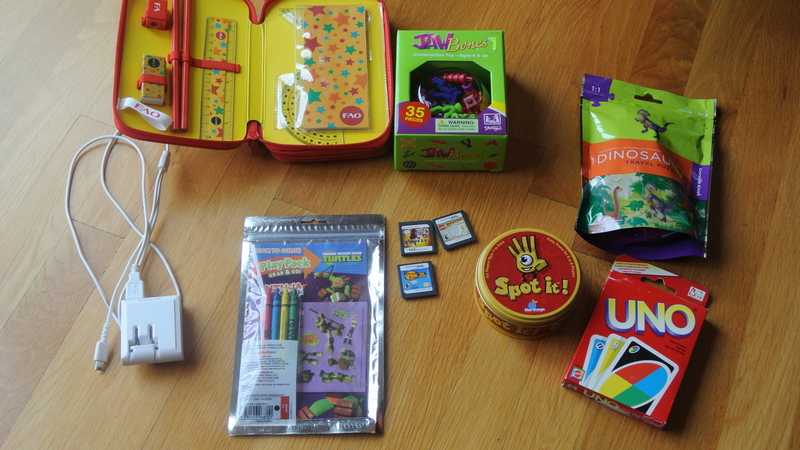 In the side pockets went some favorites, Uno and Spot It!, as well as a small puzzle, a Nintendo 3Ds and game chips. In the front pockets I placed his bag with his toothbrush and a travel size packet of baby wipes to wipe sticky fingers. In the end it all fit inside the bag just perfectly. Casey is ready to roll! Stay tuned. 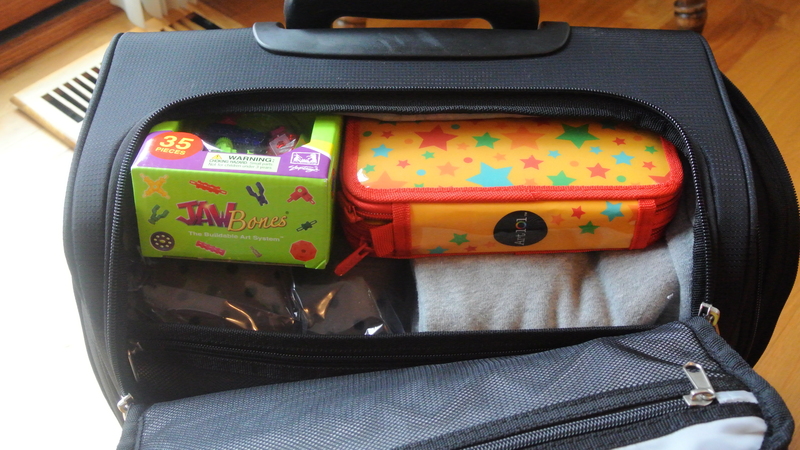 I will be packing my teenagers carry-on very soon!